Like many health systems across the nation, BJC HealthCare in St. Louis, Missouri, is converting patient medical records to an integrated electronic medical record (EMR) database. Aya Healthcare is the managed services provider (MSP) for temporary clinicians to provide patient care while BJC nurses learn the new Epic EMR software. Aya hit the ground running by placing 125 temporary travel nurses at BJC HealthCare facilities within 86 days of signing on as their MSP. In total, Aya will fill over 300 clinicians by the end of BJC’s EMR conversion in 2018. To speed up the hiring process, Aya’s clinical services team met with BJC’s unit managers to understand the intricacies of the facility culture and needs. Aya now provides full- service clinical interviews so BJC isn’t bogged down by interviewing hundreds of candidates in such a short period of time. 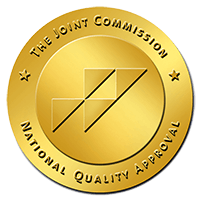 They simply need to say “yes” or “no” to final candidates who have been through Aya’s robust, Joint Commission certified clinical screening process. Aya took over BJC’s existing staffing partnerships and increased access to even more qualified candidates through the Aya Partner Network, which gives BJC access to 140 preferred partners who can help fill their positions in real time. Aya gives partners immediate access to BJC’s open positions, which helps them contain costs through controlled rates. BJC also saves time and money through a unified process, one bill and a single Aya point-of-contact. Due to the large numbers of positions, an Aya project manager is on-site to ensure everything runs smoothly. The project manager quickly communicates any issues or needs to Aya’s extensive team to ensure speedy solutions. Thanks to Aya Healthcare’s robust clinical staffing support, BJC Healthcare’s nurses can focus on getting up-to-speed on their new Epic EMR and getting back to patient care with their newfound expertise. Christine Meets Her Recruiter, June! Penny Bickham Attempting to apply to your company and speak to someone regarding traveling jobs. I have a lot of questions. Jamie Willeford Hi Penny, Thank you for reaching out. We've sent you an email and are happy to put you in touch with a recruiter. Let us know if there is anything else we can do!